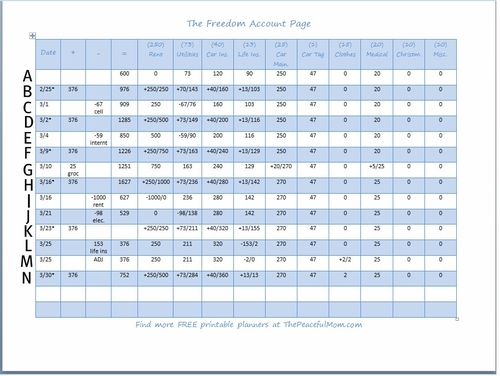 Click here to print the Freedom Account Page in color with categories filled in (as shown above). 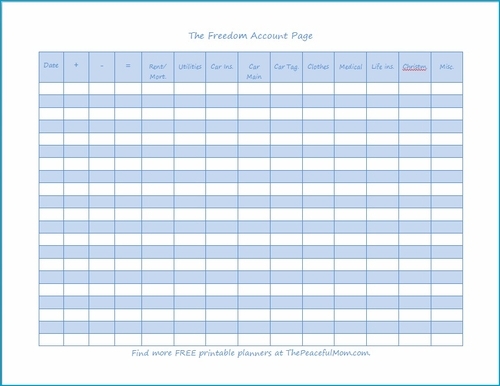 Click here to print the Freedom Account Page in black and white with categories filled in. Click here to print the Blank Freedom Account Page in color. Click here to print the Blank Freedom Account Page in black and white. You can read more here, but basically we have two checking accounts. Our main account is for everyday expenses like gas for the car, groceries and miscellaneous spending. The Freedom Account is a second checking account for bills and irregular expenses. You can use any method you choose to keep up with the category amounts (readers have suggested Mint.com), but the key is to have a second checking account to which you transfer the money from your paycheck immediately. You can even set up an automatic transfer. 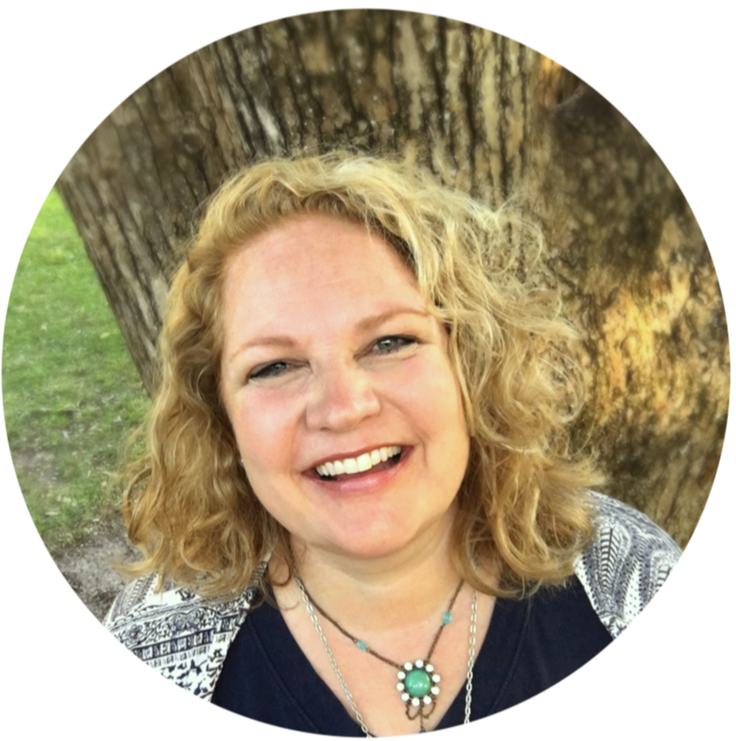 Moving the money from your main account keeps you from spending money that you need for bills and other necessities because you see it in your checking account balance. Header (blue row at the top) -Weekly deposit amount in parenthesis above each category. Line A– current balance as of 2/24= $600. Balance of each category to the right. Line B-$376 transfer from paycheck; balance=$976. Deposit amount noted in each category ($250 added to rent, etc.). The number to the right of the / is the current category balance. Line M- Adjustment-after life insurance was paid (line L) we had a $2 surplus. I moved this to the clothing category.